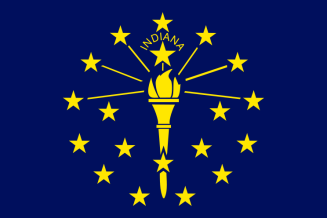 Indiana birth records date to the 1870s in four cities (Ft. Wayne, Indianapolis, Kokomo, and Logansport) but were not officially collected by the county health office until 1882. The county health office was responsible for birth records from 1882 until October 1907, when Indiana began statewide registration of births; the older records must be requested from the county. Statewide registration of Indiana death records was mandated as of January 1900, over seven years earlier than that for births. Certified copies of birth and death Indiana vital records are available from either the county health department or the Division of Vital Records of the Indiana State Department of Health. There is a "Pre-1882 Indiana Births from Secondary Sources" reference book but no index for death certificates for 1900-1918. Historical births and deaths for 1882-1920 were collected in 68 of 92 counties and are available at the Indiana State Library. Note: The information is also available at each local county health department of the birth. Record Access Requirements: Must be immediate family member or show direct need. Search Note: Prior to October 1907, records of birth are filed only with the local health department in the county where the birth actually occurred. Record Access Requirements: This index is not for public review. You must have a signed release from immediate family member. Include a copy of your photo ID with your request. Note: Note for records prior to 1917, only one county can be searched at a time.